More than 130 students from seven schools worked with NASA engineers to design experiments to fly high-altitude Student Opportunities in Airborne Research (SOAR) missions last week that also collected data for atmospheric research. The project started in July and culminated with a weeklong visit to Johnson Space Center's operations facility at Ellington Airport, where the experiments underwent rigorous testing and reviews before being flown on NASA's WB-57 aircraft at altitudes up to 60,000 feet. More than 50 students traveled to Houston to work side-by-side with aircraft specialists. During the week, experiments flew up to three times on the high-altitude aircraft over the southern Texas and Louisiana coast. "SOAR is a great example of how we use NASA-unique assets to engage STEM students directly with the work of our Agency Missions," said Robert Musgrove, director of Education at NASA Johnson Space Center. Each team had the opportunity to propose its own experiment, or to design and build its own Environmental Data Recorder for collecting information during the flights. Four universities elected to propose their own experiments. The University of Texas, Austin, used the DyNAMITE camera, positioned in the aircraft nose, to capture imagery of urban traffic patterns for analysis. Two teams from Texas Southern University proposed biological experiments to analyze how cells respond to conditions at high altitude. And Embry Riddle Aeronautical University constructed a universal test bed to host their three experiments, which included a payload to study and better understand ADS-B technology, Automatic Dependent Surveillance – Broadcast, a surveillance technology in which an aircraft determines its position,an experiment to assess the performance of science-grade global navigation systems on a moving platform as well as a third biological experiment to investigate the effects of high altitude radiation on T-cells. The remaining student teams, which included Boise State University, Idaho; Oklahoma State University, Stillwater, Oklahoma; Prairie View A&M University, Prairie View, Texas; the University of Texas and Saint Thomas Academy, a high school team from Mendota, Minnesota, participated in a challenge to create the environmental data recorders. The challenge focused on development of a robust engineering device that could capture temperature, pressure and vibration levels throughout the flight profile useful to researchers and the WB-57 flight program itself. "The SOAR program provided the students a once-in-a-lifetime opportunity to design, build, test and fly an experiment on one of the few high-altitude research aircraft in NASA's fleet," said Charlie Mallini, WB-57 Program Office manager. "There are practicing engineers that will go through their entire professional career and never have this type of an experience." The NASA WB-57 Program provides unique, high-altitude airborne platforms to U.S. government agencies, academic institutions, and commercial customers in order to support scientific research and advanced technology development and testing at locations around the world. Mission examples include atmospheric and earth science, ground mapping, cosmic dust collection, rocket launch support, and test bed operations for future airborne or space systems. Aside from the scientific results, SOAR also provides students with a unique experience designed to enhance student learning, performance and interest in science, technology, engineering and math (STEM). 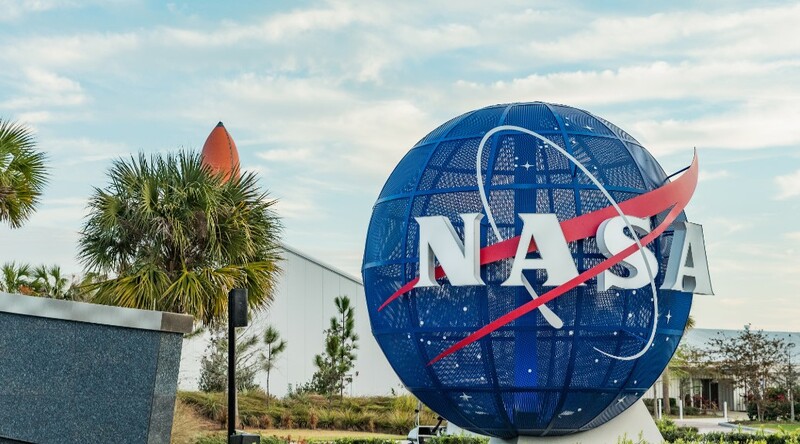 SOAR enabled students to have a first-hand experience working with NASA to conceptualize, design and test experiments and hardware for real-world applications.